When running the spikes detector with a dynamic threshold, the detector works until it encounters an artifact. Spike and Spike-Trains are no longer is detected after the artifact, as seen in the image below. 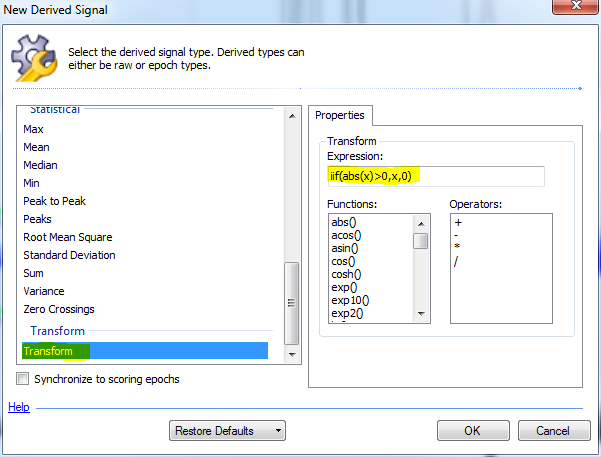 Right-click the EEG signal and select Add Derived Signal.